Inspection prior to buy, how? - THE PORTAL HUB - Pinzgauers, Haflingers, Volvo 303s and more! Inspection prior to buy, how? New to P's, but plan to get 710m and bud may get a 712m. Since neither of us know how drive on4e and what does what, even if on site with P, could not really inspect for issues. So how do we find those that know the things and what to look at, inspect and even drive. Have seen few posts where looks like folks bought a lot of work/money. Doubt wife would be to thrilled to have one show up, then blow up or big $'s, so what is best to check out ahead of buy?. Note am mechanical, but not enough to really inspect a P and systems. If I was you, I'd post up my location. These trucks are all over, but there's just not many of 'em. If we know where you are, someone may chime in nearby. Believe it or not, most of us are plenty willing to show our trucks to others. You might also find someone nearby who can inspect a truck competently. This is pretty common with collector vehicles. It might take a couple hours, and it might cost a bit, but it could be money well spent, IMHO. You are looking at used vehicles. Used vehicles will have issues, in most cases. 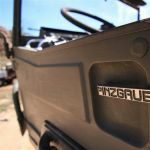 Even if it doesn't have any problems, a Pinz requires more maintenance than modern vehicles. You'll need to do things like adjust the brakes, because they are not self-adjusting, etc. Don't spend ALL of your money to buy it, save some for contingencies. If you spend some time here, you will find some reputable owners who occasionally sell a well-maintained truck. We will be moving back to PAC NW (probably Nrn ID) within year. Doing some planning now. Did a bit of checking with some "Auto inspector service", most did not have a clue what Pinz actually was, so they are out. It's old info but it does not change! Thanks for link, just great stuff. This is kind of data we will need. Restored a few cars/trucks and found pre-buy inspections, when distant buy, well worth while. Only had one where inspection should have been more thoroughly done. Sure saves lot of $'s/work but not any of usual inspection sites knows much about the P's. How are they 710/712's on a road, not interstate but county roads... Sure would want one to use when bird hunting as some places a wee bit difficult for even 4x4 trucks.. REALLY looking forward to move and the P's, Now wife wants the small one, thinks "Great for gardens and driving around to get pics as out door photog is her hobby... Should not have showed her pics/data of "Baby Pinz" as she calls them. Thanks again downloaded the data. Learned long ago to ask the folks whom own one to get the straight talk. Should have done more background on austin 100-6 I once bought.. spent a lot of dollars on machine a\owner said "runs well", and did for about 1 hour, then???????? Baby Pinz...LOL... Over double your budget ! A Haflinger in decent condition will cost you as much (or more) as a 710 in equal condition. I have mentioned cost to wife, but cautious as she mentioned costs for 710...so step cautiously there.. have time to work on it a bit..
You would be well advised to find an owner and talk with them and take s ride. I can tell you that s pinz is louder then most other vehicles but until you experience it for yourself it is subjective. I have no issues driving my pinz on the highway system but I keep a close eye on the truck and then traffic around me. Done places it just does not make sense to drive freeways. Bunch of idiots that think speed limit is what ever their vehicle will do. Pinz in general is comfortable between 55 and 60.